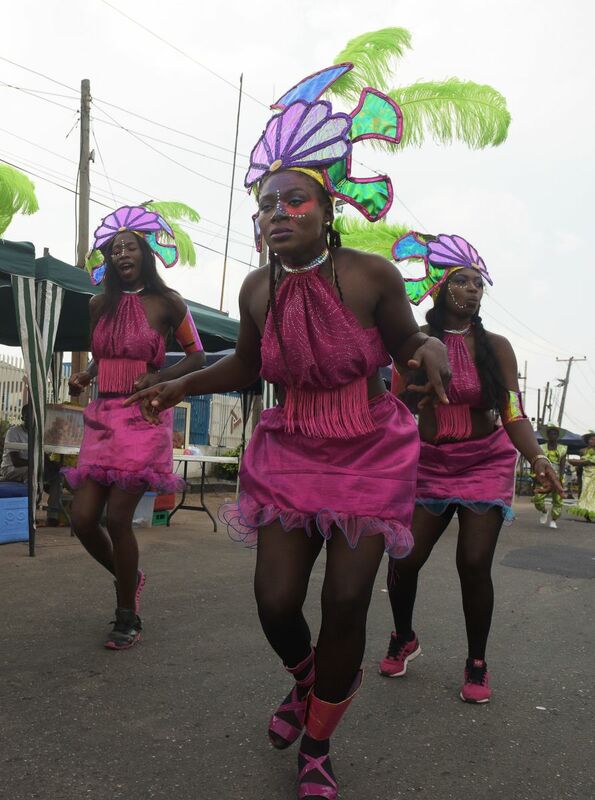 Performers dance during the Lagos Street Carnival on December 3rd, 2017, in Lagos. 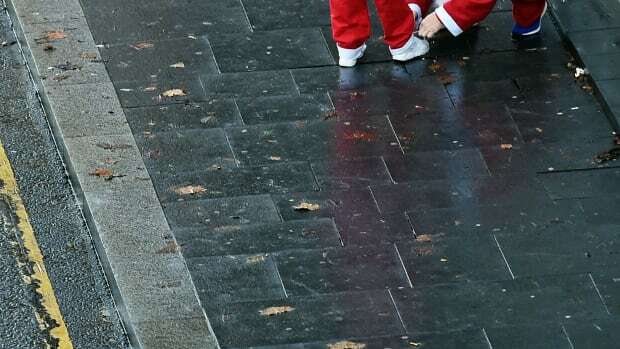 Commercial activities in the bustling Ikeja district of Lagos were grounded as people danced along the major roads to celebrate the second edition of the Lagos street carnival, heralding the Christmas and New Year&apos;s period. 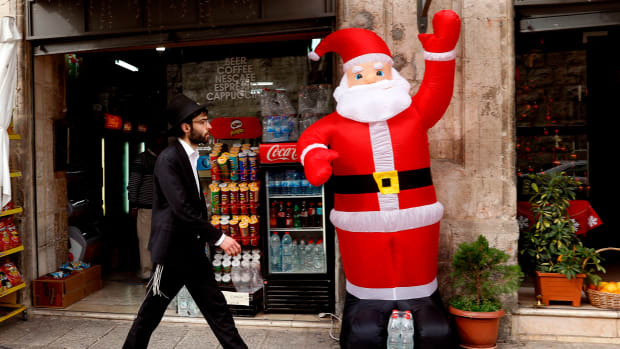 An orthodox Jewish Israeli walks past an inflatable figure of Santa Claus in the Christian Quarter of Jerusalem on December 20th, 2017.